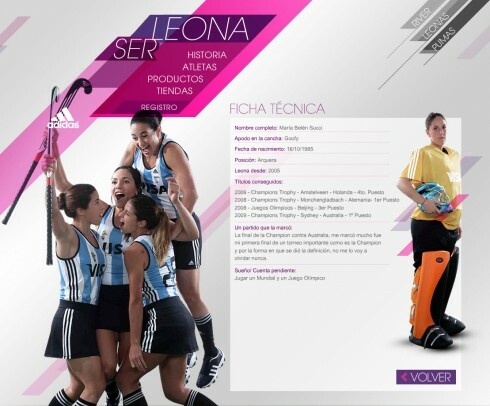 The photo below of Maria Belen Succi, OBO sponsored player and goalkeeper for Las Leonas, the Argentinian Women’s National Team, appeared over the weekend in newspapers with wide circulation throughout Argentina. The photo can also be viewed on the Adidas site. Belen’s achievements include winning a bronze medal with the national women’s team at the 2008 Summer Olympics in Beijing. You can view Belen’s profile at the Confederacion Argentina de Hockey website. Decision Making, Analyzing, Deciding and Acting are key concepts in hockey goalkeeping. You may have the right attitude, speed, concentration, agility, power, reflexes and yet goals still go in that should not go in due to many different reasons! Goalkeepers must have the ability to correctly analyse, decide and act in crucial situations. Lack of this or incorrect analyzing, deciding and acting will most likely lead to goals being scored. The Fact of the matter is that even if the goal was not your fault you always feel a sense of responsibilty, which isn’ t a bad thing as it shows determination, passion and the desire to suceed! Good goalkeepers must have the ability to learn from their mistakes by watching the play leading up to a goal being scored and decide were they made the wrong decision. Making one wrong decision or making one mistake in the goal can change the entire outcome of the match, (but that’s what also makes this one of the best positions on the pitch) If an outfielder makes one mistake or one wrong decision in a match it would most likely not cost the match as they have the time to redeem themselves and make up for the mistake straight after, while the next chance for the goalkeeper to redeem or make up for their mistake is during the next scoring opportunity making analyzing a crucial part of a goalkeepers game! It is important not to over analyse the goal during the match as it will distract you and your concentration will not be on the next shot which is were it needs to be. 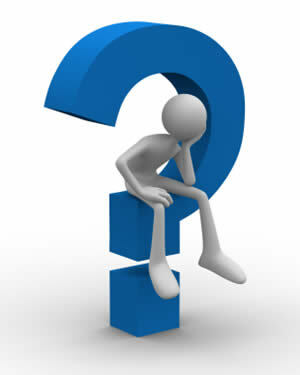 It is important to get the balance of how much to analyse during the match and how much after the match! This will usually come with experience! Simply acknowledge to yourself that a goal has been scored but the match is not over, you must then forget about the goal and focus on the next shot! Calling is a very important skill and is used when the goalkeeper has realized what the opposition are going to do. Calling should not be under estimated. Call the defenders name first and then the action you require them to make; e.g. Ailbhe, move right, player leading behind, or mark player leading in front etc. Calling and talking in matches is a very useful skill that could also get you more match time as it encourages, gives direction and supports the defenders! Often goalkeepers will come off the pitch after only touching the ball a few times but without good communication the rate would be much higher and although you may have preferred to get more action the less action you get the less goal opportunities there are! It is important for goalkeepers to build up their knowledge about how team mates play, where their strengths lie, watching where and how they distribute the ball, identifying how they tackle and approach players, how they manage pressure and how they react to calls. This is very important to the goalkeeper’s game! It helps goalkeepers to make the correct calls to different players and to know when the players might make mistakes and be ready at all times to make up for their mistake and be able to react to it. Do not always assume that the defender will get the ball or that they will make the tackle as they might not and you will then have to make the decision to step up! The goalkeeper should also watch the opposition, watch the strikers, know how and where they lead, the types of shots taken and from where, one on one maneuverer, short corner set plays. All of this will help in the goalkeepers game and also help the goalkeeper to make calls to defenders and prevent mistakes from happening which may lead to a goal scoring opportunity. The goalkeeper should also build their knowledge about other goalkeepers, their weaknesses, strengths and skills they may have that they can learn from to improve their own game. This will help a goalkeeper to learn new skills and techniques, if a goalkeeper watches and learns from other goalkeepers mistakes it will help to improve their game as they’re most likely not to make the same mistakes as they may have made! It is also important to learn from your own mistakes and to use the skills and techniques that come naturally to you as you are more likely to use them and remember them as opposed to skills or techniques other people try to teach you! Although it is also important to take the advice and coaching that other people give you as it will help to improve your game!